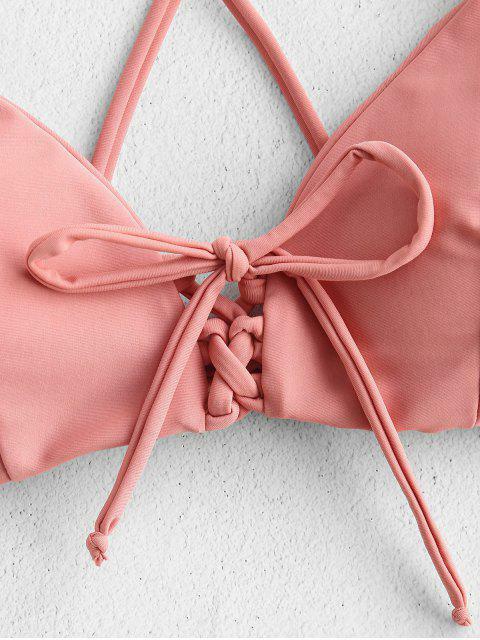 [18% OFF] 2019 Cross Strap Lace-up Bikini In ROSE | ZAFUL ..
You will be the envy of all in this flattering bikini that features a sleek top with lace-up detailing on the front and slender crossed straps at back. The straps are adjustable that you can make for a suitable fit. And the matching bottom is designed with high-cut legs and moderate coverage for the curves.